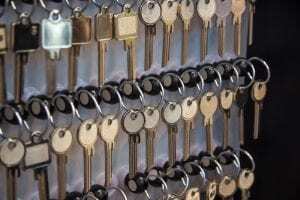 Key Holding is a service we provide that protects a business, it’s owner and their employees or the other inhabitants. It involves guarding a key to the premises. Reasons for keyholding can vary. It can be for use if a primary key is stolen or is lost. Another reason can be if you do not feel comfortable responding to break ins yourself and you would prefer a professional, qualified security firm to respond instead. There are many uses and advantages to keyholding. We offer a flexible service that suits your exact specifications and can call on two decades of industry experience to provide a professional, smooth keyholding operation. Our fully trained staff rapidly learn the intricacies of your security system, so we can correctly respond to any issues you have which requires the use of your key. A benefit to keyholding by T-Class is that by offloading the responsibility of having to respond to intruders yourself you remove any risk to yourself and the other people who work at your business premises or live in your home. This provides peace of mind and is great for the morale of your workforce too. We can also be responsible for the security of your premises if you require trade work or contractors in your building or home. Our keyholding operations can be combined with a number of other services to provide you with the full security package. As security keyholder we can also offer manned or corporate guarding as well as CCTV monitoring. While a security firm based in London, we have the ability to provide our services in all the major towns and cities in the country. 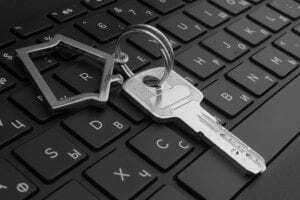 As part of our keyholding work we provide a designated security specialist who takes care of all aspects of misplaced keys and access issues. We have a multitude of accreditations, certifications and memberships so you can rest assured you are receiving a high-quality service. If you would like to find about more information about our entire assortment of security services you can reach out our knowledgeable, professional team. You can call us on 020 3794 8182 or you can also contact us via email at info@t-class.co.uk. Since 1998 we have provided a range of bespoke security solutions which have been utilised in a variety of environments. Get in touch today to find out more! Our staff will be delighted to answer and questions or queries you have on keyholding or any other areas of the security services industry.